Prayer and the knowledge and sovereignty of God. What’s the point? Q: What’s the point of prayer? After all, if God already knows what we need before we ask, why do we need to ask? A: First, prayer includes more than simply asking God for things. It also includes praise, thanksgiving, and confession of sin. Still, it’s right to focus on specific requests, since such prayers dominate Scriptural examples and instructions. As to the question about God’s knowledge: Prayer – even the request – is not simply a way of getting what we want/need from God. It’s a means of forming a personal relationship with him. God knows what we need, but he wants us to ask him for it. In doing so, we learn to be dependent on him. We learn the proper relationship between Creator and created. We need. We ask. God has. God gives. Q: I have heard it said: “We pray, not to change God, but so that we ourselves might be changed.” Is that what you’re saying above? Is the primary purpose of prayer to bring about an internal change? A: Prayer does change us, and it’s good that it does. But I’m hesitant to say that the primary purpose of prayer is internal change. That’s simply not how the Bible usually puts it. Take, for instance, Paul’s instruction in Ephesians 6:18-20. Paul asks the Ephesians to pray for the Lord’s people, and to pray specifically for him, that he would preach the gospel without fear. Now, there’s the possibility that by praying in this way the Ephesians would be changed internally: They would become more dependent on God. They would see God’s hand in missions. They would become less self-focused and more others-focused. They would see the need for boldness themselves. Etc. But Paul’s main point isn’t that they be changed, but that their prayers for him would lead to his boldness in sharing the gospel. In other words, Paul is implying a cause and effect relationship here. The Ephesians pray. God answers. Paul preaches fearlessly. Q: I’m uncomfortable with using the phrase “cause and effect” relationship when talking about prayer. It seems too much like magic. Are you saying the Ephesians’ prayers caused Paul’s boldness? Does that mean that without the Ephesians’ prayer Paul wouldn’t have been bold? I don’t think that Paul is drawing such a straight line between the Ephesians’ request and Paul’s boldness. Perhaps we could say that the Ephesians’ requests “contributes” to Paul’s boldness. But even then, it isn’t the request itself that contributes, but God’s response to that request. Here it’s important to remember that God is not a formula but a personal being with an independent will. We are called to address him as Father and the father-child relationship is the lens by which Jesus instructs his disciples to approach prayer. The Father is not bound to our requests, but neither is he deaf to them. He hears and then chooses his own response. To the extent his response is connected to our request, our request contributed to that response. But we must always remember that God is able to act apart from our request. Q: You speak of God “responding” to our prayer requests. Does such language impinge upon God’s sovereignty? Is it right to say that the Creator responds to his creation? A: It may be that we are now in the realm of mystery, where language begins to fail us, but this is the way the Bible speaks. God is outside of time, but we experience God in time. And, in time, in relationship, we see an interplay. God’s people call out for help. God hears. God acts. If “response” is not the right word to describe what we experience, I do not have a better one. Q: It still doesn’t make sense. How does God’s sovereignty relate to our prayers? God knows all things and can do all things. Why should prayer matter? A: We might as well ask why anything we do matters. God knows I need food and he has the ability to make it appear on my table. Does that mean that my work for that food is useless? Obviously not. We have the capacity to see that two things contribute to my stomach being filled: (1) God’s divine provision and (2) human actions. God’s provision is the ultimate source of food. Human action is often the means by which God provides. It’s a secondary, but usually necessary step. We see that God is able to work apart from human action, but he often works through it. The two actions – human and divine – are not mutually exclusive – but find harmony in the will of God. This principle is harder to see with prayer, but it’s still there. I think it’s hard to see because prayer sits at the intersection between human action and God’s action. That is, when we pray we act, but our action is indirect, it’s merely a request for God to act. Perhaps this is why prayer can seem confusing to us. Still, the principle applies. Like other human action, prayer becomes the means by which God acts in the world. God can act apart from prayer, but sometimes he uses it in a more direct way, as we see throughout the Bible. Q: Ok, it’s starting to make sense. Can you summarize this for me? A: It’s good to see how prayer fits into a robust picture of God’s sovereignty, but the primary lens Jesus gives us to see prayer is the parent-child relationship. My own children have taught me a lot about prayer (good and bad). They come to me with requests all the time. This demonstrates dependence. It shows that they understand that I can provide. As a father, I won’t always give them what they ask for, because I know that they don’t always ask for things which are (ultimately) good for them or for others. Often, I give them things without them asking for them. But there are some things that they only get if they ask for them. There could be a danger in thinking of God too much like a human father. Human fathers can be manipulated and worn down. Human fathers sometimes need their kids to ask because they don’t already know what their child needs. Human fathers lack the perfect will of the heavenly father. “God is not a human” (Num 23:19). Dangers noted, and with proper reverence in our hearts, we ought to come to God as our Father, through the Spirit, in the name of His Son. Understanding these relationships ought to help us understand prayer. Hopefully, it also helps us pray. 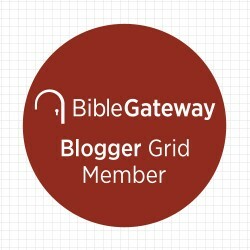 This entry was posted in Christianity, Doctrine and tagged God's sovereignty, Prayer, Theology on June 20, 2018 by stevenkopp.